Virtual reality motion platform enabling natural movement in 360 degrees in VR games and applications. Virtuix raised $1,557,443.0000 on SeedInvest. Sold 2,500+ Omni systems to over 500 location-based entertainment venues. Sells globally via 16 different distributors on 5 continents. The Virtuix Omni is a unique motion platform that gives people the freedom to move around naturally inside virtual worlds. The Omni is a crucial component needed to enable popular virtual reality ("VR") experiences like first-person shooters and virtual tourism. Founded in early 2013, Virtuix is one of the pioneers of the recent rebirth of virtual reality and is a leader in Active VR. Founder and CEO Jan Goetgeluk first created the Omni because he wanted to truly experience virtual worlds rather than simply push buttons on a gamepad or keyboard while sitting on a chair. Without the ability to move around in the virtual world, the user experience is static, restricted and can cause motion sickness. Jan created the Virtuix Omni to give players the opportunity to engage their entire bodies and in turn, transform the gaming experience. Since its launch, Virtuix has shipped more than 2,500 Omnis through its global distributor network on 5 continents. Omni distributors have installed systems in over 500 commercial venues (such as Playtime Crown in Melbourne, Australia; Rec Room in Calgary, Canada; and Headpinz in Fort Myers, USA), making the Omni one of the most widely distributed VR hardware besides head-mounted displays. The Omni technology is protected by an extensive patent portfolio of 5 issued patents and 5 additional pending patent applications, both in the U.S. and internationally. 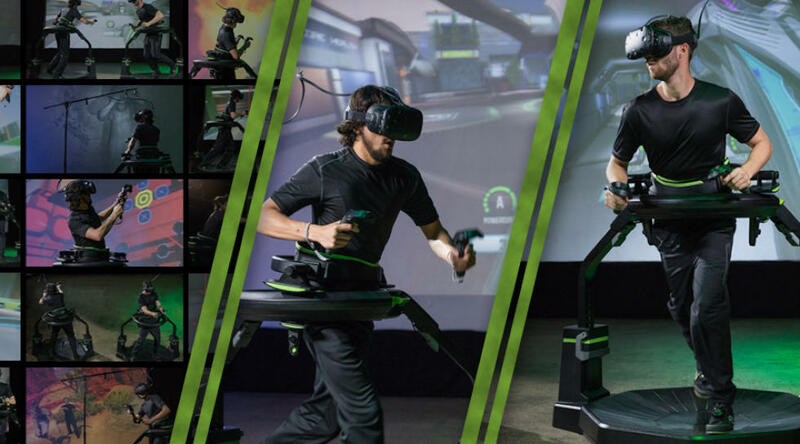 Virtuix raised $1.1M via Kickstarter during the summer of 2013 and raised an additional $16MM from private and institutional investors including Mark Cuban, 10 Silicon Valley and global venture capitalist funds, and two 2 strategics. In 2016, Virtuix raised $7mm through SeedInvest's first Reg A+ equity crowdfunding campaign. Since the Company's Series A, Virtuix's strategic transition to a B2B business model allowed the company to achieve high margins (6x markup) and sell its platforms in large orders to its global distributor network of 16 distributors. This move resulted in the tripling of Omni revenues and allowed the company to reach its first profitable month in Q4 2017. To further the company's dominance in the space, Virtuix launched its proprietary Omniverse content platform with 16+ top VR games (7 more in development), transforming the Omni into a complete entertainment system and providing a recurring revenue stream to Virtuix. Through these accomplishments, the Omni has become an industry leading active VR platform in entertainment & gaming. With these recent milestones under its belt, the Virtuix team is positioned to take the company to the next level. Virtuix is currently working on a new multiplayer project, code-named "Voyager", that they believe will take the entertainment market by storm. Virtuix has also started to prepare for a Series B round, anticipated to launch in 2019 to fund the next phase of Virtuix’s growth. In the meantime, the purpose of the current convertible note round is to support sales and marketing of Project Voyager and to strengthen the company's balance sheet in anticipation of the upcoming launch of Voyager and the company's Series B financing. Institutional investors in this convertible note round include Scout Ventures, Scentan Ventures, Redhouse Associates, and MSR Capital. *Disclaimer: The above individuals were not compensated in exchange for their testimonials. In addition, their testimonials should not be construed as and/or considered investment advice.